I-75: Exit 321 to left under the overpass, then take immediate right onto CR 475. Follow 475 approximately 5 miles to the entrance on the right. 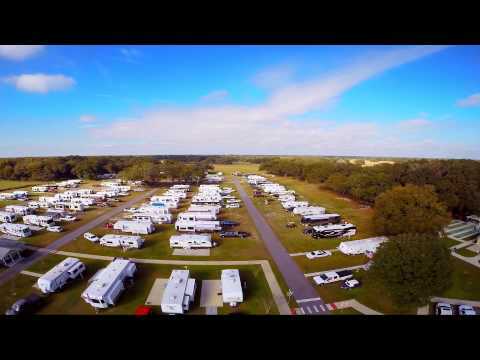 At Paradise Oaks RV Resort you’ll find yourself warmed by relaxing Florida sunshine and cooled by the evening winds that breeze through the majestic oaks. Located in Always Sunny Bushnell, Florida. You will find peace in the unspoiled outdoors, yet be minutes away from all that Central Florida has to offer. 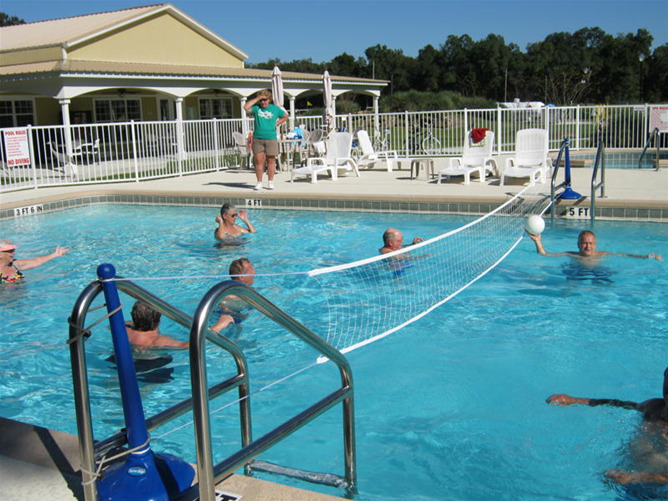 Enjoy excellent recreational opportunities, the best in quality RV park accommodations, and clubhouse activities. We welcome you to come stay with us a while… or live with us year round! From the moment you set foot onto our beautifully landscaped grounds, our resort’s unrivaled amenities and warm community feel will make you never want to leave. 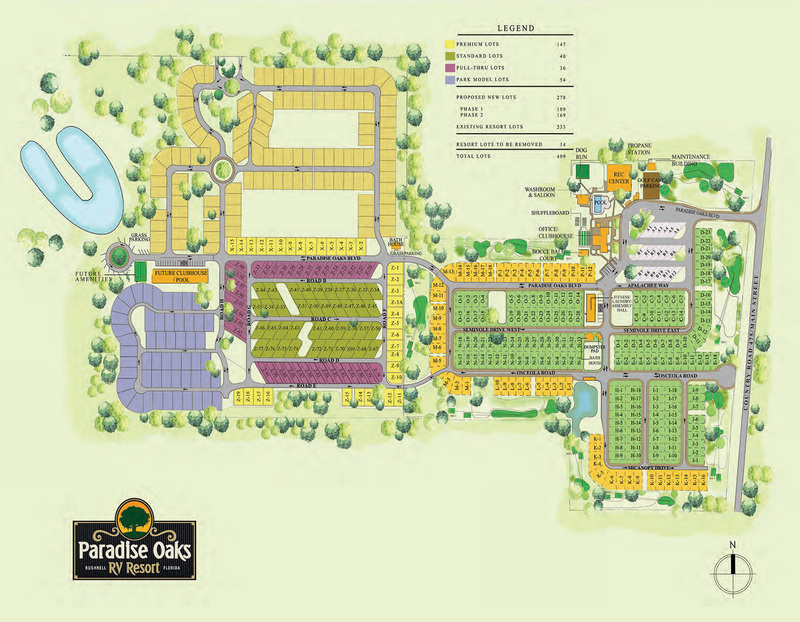 Whether you’d like to explore our expansive pool and patio area, play disc golf, shuffle board, or horseshoes with some newfound friends, relax under our breeze way, or go fishing in our catch & release pond, Paradise Oaks has you in mind. Our spacious club house is an integral part to our community, boasting a library, lounge area and fireplace, craft room, and a fully equipped kitchen. Also, under the direction of our full-time Activities Director, we host several events in this space, from Bingo and live concerts to church services and line dancing. Featuring full hook-up sites, LP gas, paved streets, padded sites, modern 24-hour laundry and bathroom facilities, and even a dog run, our resort is committed to providing you with the RV resort lifestyle that you deserve!